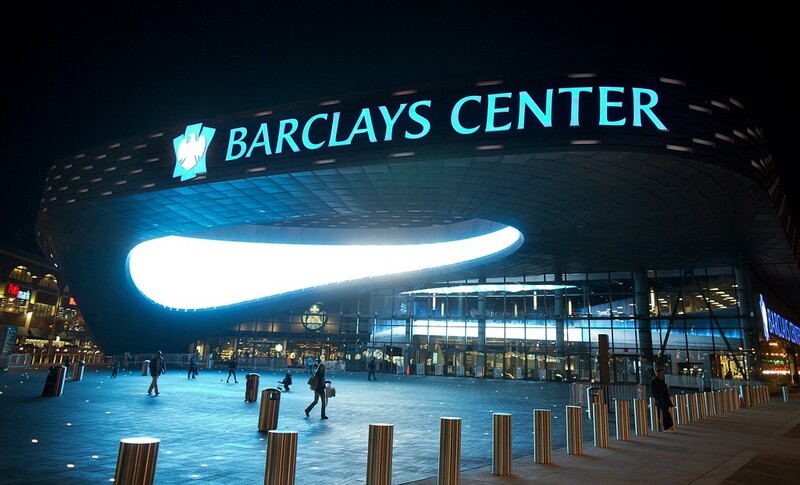 BARCLAYS CENTER: H4G’s new worship center??? I live in one of the greatest cities on the planet. New York City. Brooklyn to be exact. We have so much pride here, for good & bad reasons. The best pizza is in Brooklyn. Some of the greatest athletes and musicians of all time were born here. Our public transportation system can get you anywhere you need to go in no time. To make matters better, everyone is flocking to the newly designed, immaculately constructed Barclays Center in the heart of Brooklyn. It’s dazzling visual presentation on top of it’s steel, rustic frame gives it a peculiar display of “old meets new”. It has quickly become one of my favorite places to be in the city. As I observed the Barclays in its construction phase, I couldn’t help but imagine something like this being built for the glory and honor of God. When you have a JESUS MIND, you usually see all things as unto the Lord. My heart began to envision worship services being held at the Barclays Center. King David in the close of his life, his dying wish was to build a house for God’s Presence. He believed he owed it to him. David knew that all that he was able to accomplish…that all of His success was linked to God’s Presence. To show Him honor, he wanted God to have a great place to be worshipped in. The extent of His passion for God’s presence didn’t just roll into all the songs he wrote in the psalms, the dozen of instruments he invented, or the 24/7 praise and worship campaign he launched…it was shown in the billions of dollars he put into building a house for worship to God to take place. David said this house had to be magnificent, famous and splendid. World-renown…kind of like the Barclays is famous, known for its concerts and sporting events. David believed God deserved to have a place like this…where thousands of people can gather to worship God! Can you dream with me? Can you imagine your house of worship just as grand or even more spectacular than even the Barclays Center? Why can’t it be? Who else but God deserves the best? Religious, boring and unenthused people will say it doesn’t take all of that to worship God. Our storefront is just fine. This school auditorium is just fine. And it very well may just be. But is it your best? Are you maximizing your current place of grace? I believe there is more for you and your church. It is true that God is more concerned about hearts than houses (buildings). But if we have a heart after God’s own heart like David, we too will desire to see God receive the ultimate expression of worship we can give Him! Religion will tell you, that’s enough. Lovers will tell you, I want to give you more than enough. In the Kingdom of David not everyone was as passionate for the Presence of God. We saw this with his wife Michal (1 Chronicles 15:29). While bringing the Ark of the Covenant home, he danced until his clothes came off and his wife was embarrassed and offended. David said to her my praise will get even more undignified than this. When it came to praise, He led the way and made no apologies for it. No one was going to out-praise him. As a pastor, this inspires and motivates me more than anything else. David saw something about the house of worship that I pray we all realize…That it should be great, magnificent, famous, audacious and MASSIVE! At Hungry 4 God Church, we are currently looking for our own building. In the mean time, we are sharing space with another blessed Church in the city. While here, I am casting a vision for us to dream bigger and believe for a great house of our own with a heart to honor God in the way David did. What a miracle it will be for us to start from having no place to worship to having a worship center the size of the Barclays Center! As Solomon was young and inexperienced, preparations were already made for him by his father David. I believe we are the young and inexperienced…thats getting ready to receive an INHERITANCE from the Father. Dreams do come true…in the Kingdom! What are your thoughts on big worship facilities? Do you think it’s unnecessary? A waste of money? Or do you feel God deserves to be worshipped on a grand scale? I read with interest your piece, Passion For The House. While I believe your passion is well meaning it is also somewhat misguided. The building of the temple by Solomon was representative or symbolic of the time when God would dwell within man as a result of the atonement by Jesus Christ. Both the Ark and the temple, while of extreme importance as temporary dwellings for God, God’s ultimate desire is to be united as ONE with His creation. Since the death, burial and RESURRECTION of Jesus Christ, man has the opportunity through repentance(acknowleging his separation from God) to be a dwelling place for God. That is what the feast of the tabernacle is symbolic of and prophesized. I believe you would serve your congression best by teaching them in small groups how to truly become vessels for the indwelling of God by his Holy Spirit. Here I am not speaking of the denominatiolism of Pentacostalism, but the true kingdom of heaven being within those who have the mind of Christ. You would be a wonderful, standout example to the Christian community if you were to call off your plan for a physical building, or “house of God”. God has already created a home for Himself and it is within those who know that Jesus Christ is the Son of God, and have repented of their willful separation from Him. Thank you Don…very great insight into new covenant revelation! I am also an advocate of small group ministry and have also taught against spending money on buildings for God instead of building people for God, since God in His Word declared that He will only dwell in temples built by His Hands. I also understand the necessity of the destruction of Solomon’s Temple in order for God’s new covenant plan to unfold…But I also recognize that God DOESNT mind if a congregation desires in their heart to build a house for larger gatherings to fellowship as well as to worship through praise & service to the community. The temple wasnt SOLOMON’s idea but DAVID…and we know the Lord named His throne after David, and said His throne will be forever. Perhaps DAVID in the OT revealed to us in the NT not a principle as much of the grace we have under the NT to express our passion for God in manifold ways. Check out PART 2 of this post, i explain more….Thanks again for the reply!